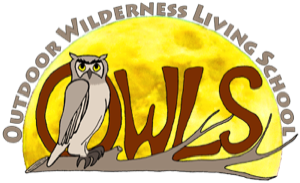 OWLS was originally established in 1991 as Hollowtop Outdoor Primitive School (HOPS) by Thomas J. Elpel (above right). The school was rebranded as OWLS in 2013 in partnership with Nicholas Kern (above center). Kris Reed (above, left) has been essential in keeping classes rolling every year. Thomas J. Elpel is an author, builder, conservationist and a pioneer in experiential education. He has authored six books and produced five videos on topics ranging from wilderness survival and botany to stone masonry, sustainable construction, and green economics. As a child, Tom was mentored by his grandmother, Josie Jewett. Together they explored the hills and meadows near Virginia City, Montana, collecting herbs, looking for arrowheads and watching wildlife. Grandma Josie helped Tom to learn about native plants and their uses, igniting a passion for nature that has inspired him ever since. She also sparked his interest in survival skills. Tom's first serious exposure to wilderness survival skills began at the age of 16, when he went on a 26-day, 250-mile walkabout in the desert canyons of southern Utah with Boulder Outdoor Survival School. The following year he and Grandma Josie went together to Tom Brown's Tracker School in New Jersey. From there Tom spent thousands of hours practicing, developing, and teaching survival skills in his "backyard" in the Rocky Mountains. These experiences led to writing his book Participating in Nature: Wilderness Survival and Primitive Living Skills, which is currently in its sixth edition. Tom has also produced four DVDs in his Art of Nothing Wilderness Survival Video Series. Tom started Hollowtop Outdoor Primitive School (HOPS) in 1991, working first with adults, and later with kids and schools. Tom is also the founder of Green University, which is dedicated to the education and assistance of adults in the world of green business as well as nature skills. Tom has an amazing ability to work with people, teach them skills and open their minds to the possibilities of our world. Kris Reed came to Montana as a Green University® LLC intern in March of 2006, a few months before his nineteenth birthday. He came with a passion for wilderness survival skills, which quickly spread to an equal interest in botany, house-building, sustainable living, and consciousness. He helped out with Hollowtop Outdoor Primitive School / OWLS programs and has returned every year since. Kris is an amazing instructor in our work with the public school kids. Kris has the ability to bridge the gap between being an adult and being a kid. He has a quiet and unassuming grace. As an instructor he doesn't present himself as teacher and possessor-of-knowledge, but rather as a friend sharing knowledge, or as a mentor facilitating the exploration and discovery of new ideas. 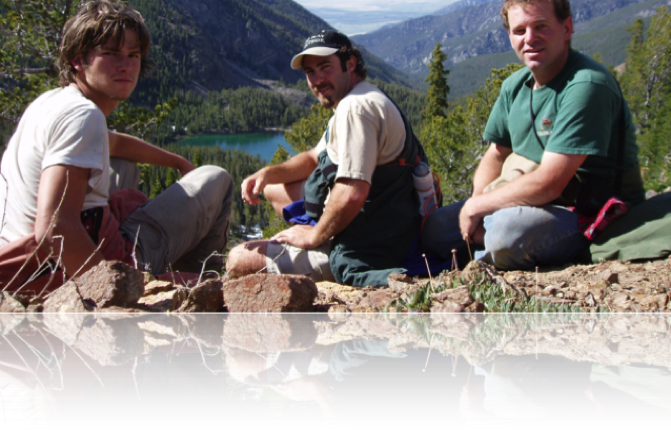 Kris co-authored Foraging the Mountain West with Tom Elpel and co-hosted Volume 4 in the Art of Nothing Wilderness Survival Series, Canoe Camping: On a Song and Paddle. Emily Bartle left high school and the Midwest knowing the endless traps of college, careers, steady bills and miles of corn were not for her. "Bartle" started her back-to-nature quest by making a commitment to living and sleeping outdoors. Bartle discovered her passion for primitive skills at the Echos in Time gathering in Oregon, where she wove her first basket with Margaret Mathewson. She worked extensively with Margaret after that, learning the art of harvesting, prepping, and weaving with natural materials. She learned how to braintan hides with Red Louvish and later immersed in the craft through an extended internship with Katie Russell, honing her skills in tanning, tailoring, and teaching. 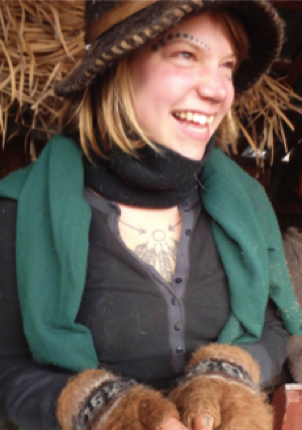 Living nomadically, Bartle has learned the arts of felting wool, herbalism, goat herding, food preservation, and many other earth-based skills. Bartle emphasizes the "softer" skills of primitive living, such as communication and communal living. Bartle continues her nomadic existence throughout the West, learning and teaching how to rewild, reconnect, and live in tune with the rhythms of the earth. Neal Tyagi grew up on the gulf coast of Texas, always outside playing sports and cycling. In his late high school years he began to see the false securities and facades of modern living, leading to the desire to pursue a more life-honoring path. 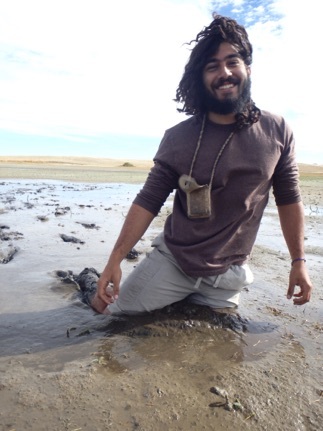 Neal joined the nine-month residential Anake program at Wilderness Awareness School in the Pacific Northwest. He experienced the importance and fulfillment of the archetypal village / tribal way of living and learned key principles and methodologies crucial to being attuned to the landscape, seeding a passion for awareness practices and native philosophies, while discovering a path of connectedness to himself, community, and nature. He feels called to be a bridge between the wild and the tame for himself and other people while developing his communion with the landscape. 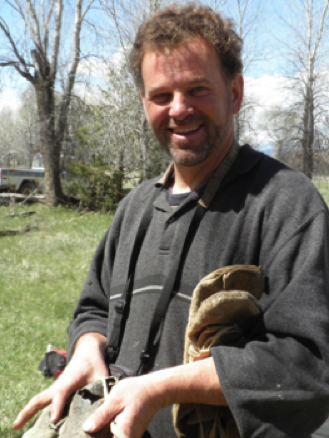 After mentoring children in Nature Connection in the heart of Texas, he traveled to Montana on a continuing journey of working with earth-based living skills such as brain tanning, food harvesting, animal processing, tracking, and more. Michael Scott grew up reading Gary Paulsen novels and dreaming about life in the wilderness. In his teenage years, his focus was primarily on rock climbing, backpacking, and adventure. Michael studied Outdoor Experiential Education in college then decided to quit school to live more experientially. He worked as a Backcountry Wilderness Guide for troubled teens and young adults, discovering firsthand the deeply therapeutic impact of living close to the land. There he created and taught a skills camp focusing on survival skills and crafts in the Utah backcountry and rediscovered his childhood dream of living with nature. 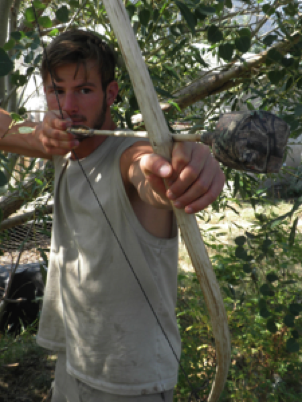 Michael transitioned into an ongoing, three-year camping trip to devote his life to learning and practicing primitive skills. Two years into this journey, Michael met Tom Elpel at a primitive skills gathering and soon after enrolled in the year-long immersion program at Green University, camping out through a Montana winter in a wickiup while living and breathing primitive skills. As an instructor, Michael is fun-loving and energetic, eager to share how-to skills, play games, or lead a group in improvised song around the campfire. Kelsi grew up in Olympia, Washington and then lived in Seattle for many years, spending most of her time professionally Irish dancing, hiking, and working with kids as a summer camp and before and after school counselor, tutor, and dance teacher. After college and several years of living in Seattle, she realized that urban living and a career-centered lifestyle was not for her. Seeking change, she moved to northeast Oregon and spent three years managing a small farm with a focus on holistic management and rotational grazing. She spent her days outside moving cattle, sheep, goats, and chickens in order to restore pasture health and diversity, while also practicing organic gardening, permaculture, wild harvesting, traditional crafts, and food preservation techniques. Kelsi currently lives a nomadic lifestyle and continues to explore the path of living sustainably and harmoniously with the natural world. She came to Green University for the Outdoor Education and Basic Skills Intensive, which re-inspired her passion for working with children in outdoor education.